FILE PIC: Nolan Hoffman. Photo by Duif du Toit/Gallo Images. Nolan Hoffman and Lynette Burger won sprint finishes on Sunday to clinch the men’s and women’s titles at the Cape Town Cycle Tour. Competing over a reduced 47km distance due to fires in the area this week, Hoffman edged former winner Tyler Day on the line in 1:01:49, with Australian Brenton Jones taking third place. The versatile South African, a former silver medallist at the Track World Championships, became the third rider in the 38-year history of the race to successfully defend the men’s title. Five-time winner Willie Engelbrecht racked up three successive victories between 1988 and 1990, while former Tour de France stage winner Robert Hunter secured the men’s crown in 2008 and 2009. 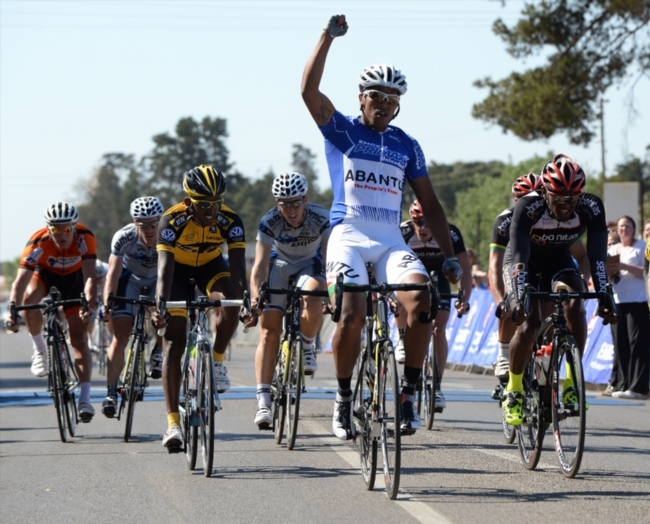 “It was only 47km, but it was the hardest 47km,” said the Team Abantu rider. “There was no place to recover and before I knew it there was another hill. “The downhills were fast and I was really concerned about Hospital Bend because I knew it was going to make for a really fast finish. “I’m proud of the way the (Abantu) guys rode today. They stuck to the tactic and executed it to perfection. My teammates were fantastic.” Burger, meanwhile, bagged her maiden victory in the women’s race in 1:17:52, preventing second-placed Cherise Stander from lifting her fourth career Cycle Tour crown. Track specialist Maroesjka Matthee grabbed third position in a bunch sprint.